This week our most-read reviews have been dominated two much-anticipated pieces of hardware. 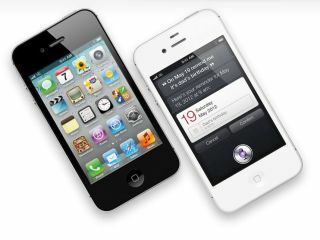 First up is the iPhone 4S - we've got the definitive lowdown on Apple's new handset. Then there's Amazon's new Kindle - can it keep pace alongside its more expensive brothers? We've also got a full review of the new Lenovo ThinkPad Tablet plus plenty more besides. The iPhone 4S is one of the best phones on the market at the moment, and the best thing Apple has ever created. It's got all the right bits right: good camera, slick web browser, quality screen - and made it all work together in the way we've come to expect. Some people might be disappointed not to have seen the iPhone 5, with the larger screen and new design, but the iPhone 4S is more than enough to keep Apple fans happy. Simply put: if you've got an iPhone 4, you don't need to upgrade (as long as you update to iOS 5) but for anyone else on an older device, you should run down to the shops and pick one up now - you won't regret it. The new Amazon Kindle may lack the sparkle of the US-only-for-the-time-being Kindle Fire and the physical keyboard of the Kindle 3 (renamed Kindle Keyboard) but it's still an excellent ebook reader. What's more, it comes with an amazing price of £89. The amazing thing is that Amazon has managed to cut the price in half without negatively affecting the user experience. And with Kindle books now outselling their paper counterparts, it's easy to see why Amazon has chosen to subsidise it so heavily. So if you've been putting off buying an ebook reader – it may well be time to bite the bullet, because there's no longer any excuse. The Nikon Coolpix P7100 is the brand's new replacement for its flagship advanced compact camera - the Coolpix P7000 - and comes with a number of new and upgraded features over its predecessor, including some fresh controls, a high-resolution tilting LCD display and a revised user interface, to name a few. The number of upgraded features in comparison to the older model it replaces may not be numerous, but the changes that have been made are very significant. The combination of superb image quality and total manual control, along with a much-improved - dare we say - snappy performance, leaves a lasting impression. In short: the Nikon Coolpix P7100 is the camera that the P7000 should have been. The Lenovo ThinkPad Tablet is a smart option for those who need to use a tablet at work. It has an understated but somewhat bulky design that fits well with a full-size laptop. Movies and other media are hit and miss, but mostly miss because of the less than colourful screen and choppy playback. Our final conclusion is that this tablet is better than many other Android models, mostly because of the extra ports and the business apps, but the larger size and weight make it a runner-up to Apple and Samsung models. The Samsung RV520 is a fantastic budget laptop that can handle home computing and business tasks with ease. The Sandy Bridge processor provides enough power to enjoy media, pictures and music and the keyboard and build quality are good enough to work comfortably on. It's not brilliant for movies, and anyone looking to get creative will come up short against the low-end Intel Core i3 processor, but for most consumers, this is a highly recommended purchase.